The drought lasted until earlier this week, when the heavens opened and the South Esk rose more than five feet at Gella Bridge to bring down a chocolate spate. The water cleared quickly, but the rain kept coming and the river today is huge with only Lower Boat Pool and Indies Pool fishable. 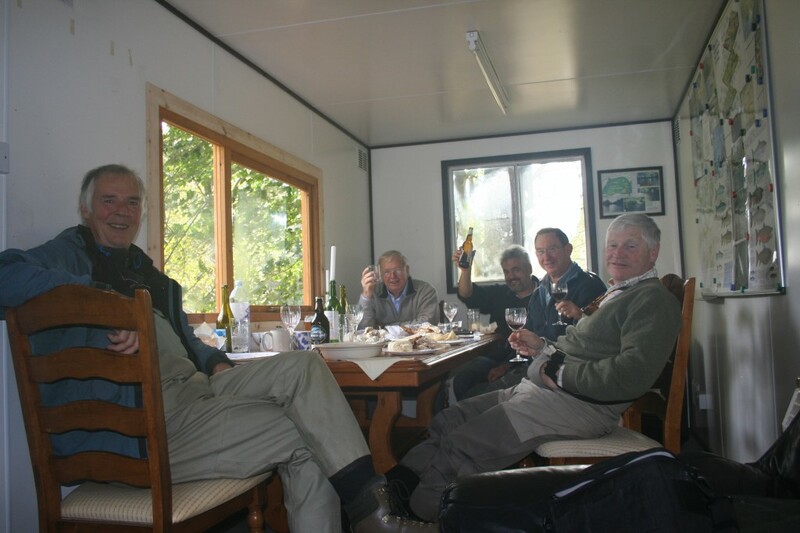 Nevertheless we have an intrepid party of keen fly fishermen working hard to catch autumn salmon. As I write this on Friday 23 October, with just 8 days of the 2009 season left, Finavon castle Water catches remain at 99 salmon and 113 sea trout. Hopes are high that the next few days will bring good numbers of fish into the FCW beats and improve our catches. There have been plenty of fish in the river throughout the dry six weeks of September and October, and all our visitors have seen them – some big fish amongst them – getting staler and more coloured by the day as the drought wore on. But this flood will have changed all that, with a big influx of new fish from the sea and the departure of many old residents up the Glen to the high tributaries and spawning redds. Leaves are always a bit of a problem at this time of year. A big sycamore leaf, carried in a strong current, can seem very similar to the gentle take of a large autumn salmon. And the South Esk is a genuine ‘big fish river’, especially in the back end when fish over 20lbs are regularly caught, and sometimes much heavier than that. I expect to see fish of over 15lbs showing in all the main FCW pools in the next few days. Whatever happens, and however many fish we catch, I always feel ready to come to the end of the season at this time of year. The fish are getting ready to spawn, the geese are flying over Finavon in huge skeins and the colours of winter are nearly on us. This really is the last hurrah for the South Esk 2009 season, and it can be the most productive time of the whole year. Everything depends on reasonable water levels and the presence of good numbers of salmon. The next 48 hours will show us what to expect next week.